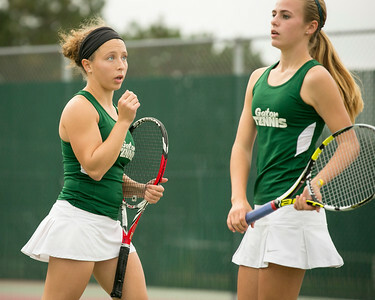 Daryl Quitalig - For Shaw Media Crystal Lake South's Skylar Olsen (right) assists teammate Claire Atkinson with hydration between points during the IHSA girls tennis Cary-Grove Sectional doubles third-place match at Cary-Grove High School Saturday, Oct. 15, 2016. 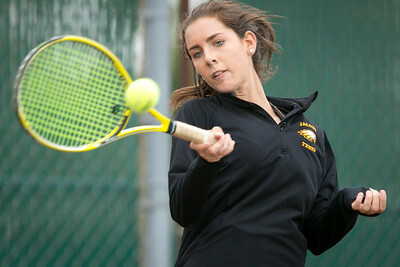 Olsen and partner Hannah Rakofsky defeated teammates Atkinson and Julia Kopfman, 6-2, 3-6, 6-4, and finished in third place. 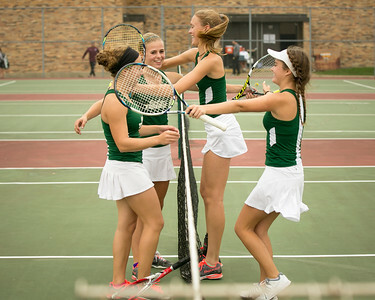 Daryl Quitalig - For Shaw Media Crystal Lake South's (from left) Hannah Rakofsky, Skylar Olsen, Claire Atkinson, and Julia Kopfman embrace at the net after the IHSA girls tennis Cary-Grove Sectional doubles third-place match at Cary-Grove High School Saturday, Oct. 15, 2016. Olsen and Rakofsky defeated Atkinson and Kopfman, 6-2, 3-6, 6-4, and finished in third place. 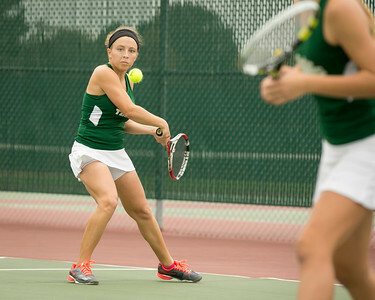 Daryl Quitalig - For Shaw Media Crystal Lake South's Hannah Rakofsky hits a backhand return during the IHSA girls tennis Cary-Grove Sectional doubles third-place match at Cary-Grove High School Saturday, Oct. 15, 2016. Rakofsky and partner Skylar Olsen defeated teammates Claire Atkinson and Julia Kopfman, 6-2, 3-6, 6-4, and finished in third place. 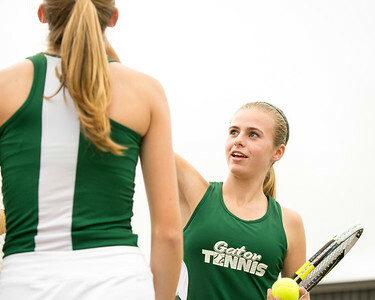 Daryl Quitalig - For Shaw Media Crystal Lake South's Hannah Rakofsky (left) speaks to Skylar Olsen between points during the IHSA girls tennis Cary-Grove Sectional doubles third-place match at Cary-Grove High School Saturday, Oct. 15, 2016. Rakofsky and partner Skylar Olsen defeated teammates Claire Atkinson and Julia Kopfman, 6-2, 3-6, 6-4, and finished in third place. 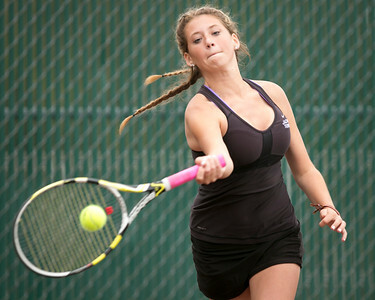 Daryl Quitalig - For Shaw Media Jacobs' Haley Steinkamp hits a forehand return during the IHSA girls tennis Cary-Grove Sectional singles third-place match at Cary-Grove High School Saturday, Oct. 15, 2016. 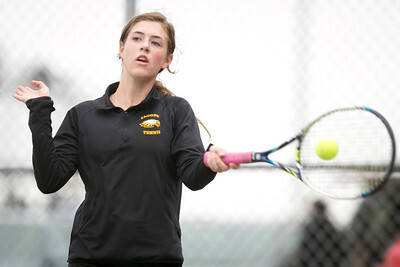 Steinkamp lost to Prairie Ridge's Annie Timm, 6-0, 6-2, and finished fourth place. 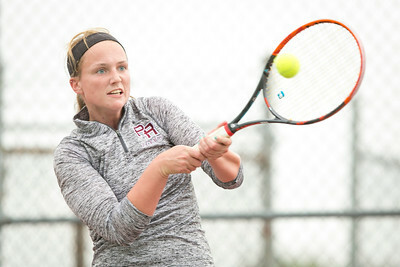 Daryl Quitalig - For Shaw Media Prairie Ridge's Annie Timm hits a backhand return during the IHSA girls tennis Cary-Grove Sectional singles third-place match at Cary-Grove High School Saturday, Oct. 15, 2016. 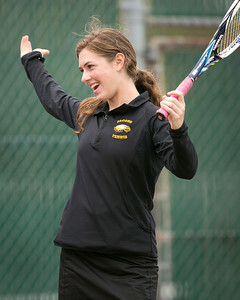 Timm defeated Jacobs' Haley Steinkamp, 6-0, 6-2, and finished third place.